Offices with scenic views, as well as high-quality indoor environments, could motivate employees to become more productive. It is a dream come true to work in beautifully designed ‘Green’ office campuses. 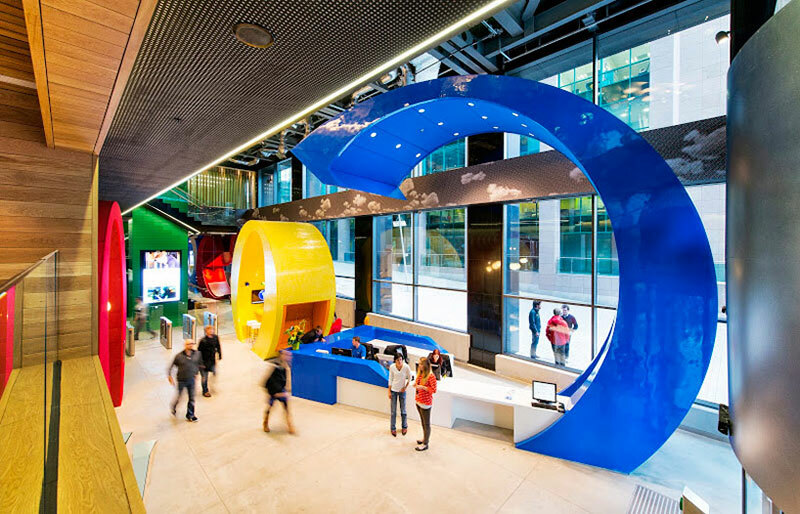 With great innovations in engineering and science, these days many corporate and IT firms have come up with office spaces that are truly awe-inspiring. We bring to you ten such explicitly designed corporate spaces in India. Infosys is one of the most well renowned and sought after tech companies in the world today. 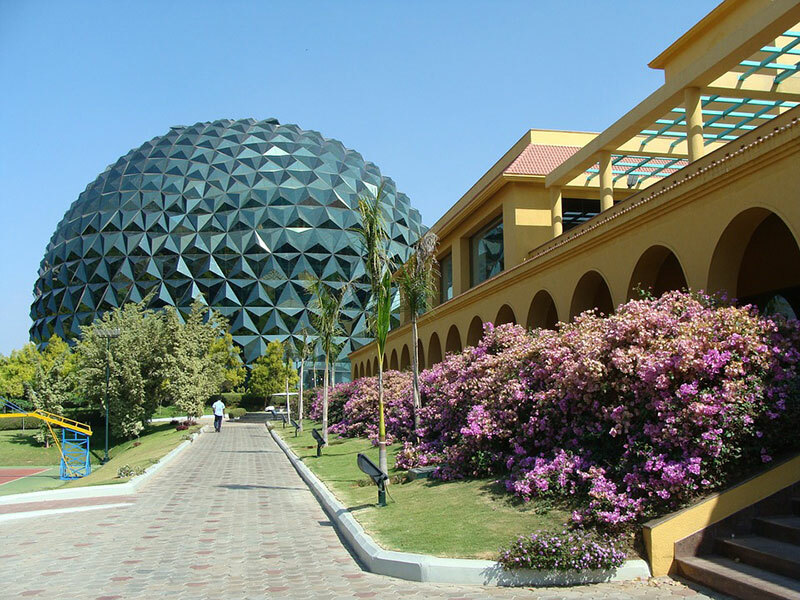 Its Mysore campus is an architectural beauty and is a splendid place to get trained. Spread over a sprawling 350 acres, it draws inspiration from Greco-Roman architecture. 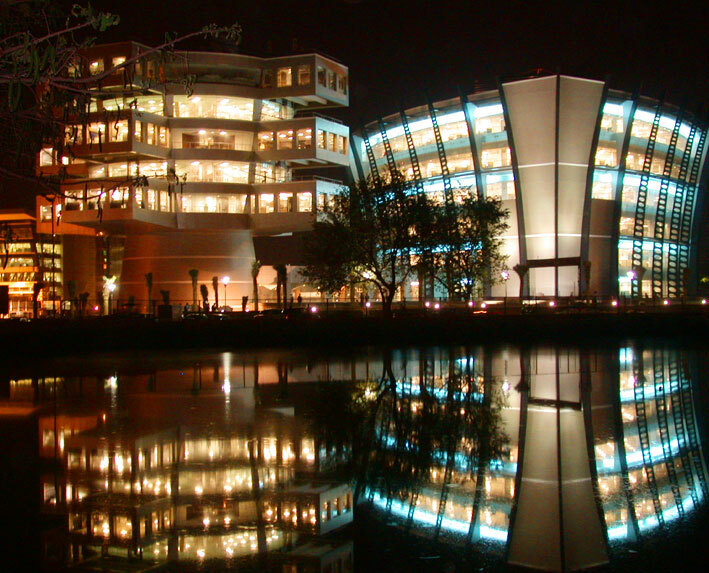 Basically used as a training centre for the Infosys’ new recruits, the campus makes it the world’s largest corporate university. The campus hosts its own four-screen multiplex, a grand library, with a diverse collection of books, food courts, single rooms or double rooms for the recruits and much more. Recently, the Infosys campus in Mysore was awarded the LEED EBOM (leadership in energy and environmental design–existing building operation & maintenance) Platinum certification by the United States Green Building Council (USGBC). 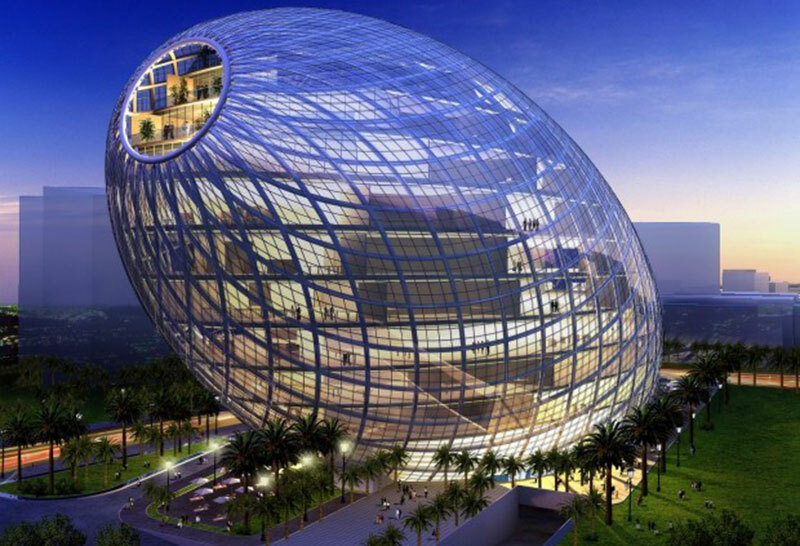 It’s an egg-shaped building in Mumbai and is considered a showpiece of iconic architecture not only in India but the whole world, with its intelligent design and control systems. Designed by James Law Cybertecture, this Cybertecture Egg is equipped with the state-of-the-art architecture including a great environmental design, ingenious control systems and evolutionary engineering. It has been computer designed using evolutionary engineering for a high quality and geometric sophistication. Opened in 2010, it is a 32,000 square meter building, with 13 floors and three levels of basement that also provide car parking for around 400 vehicles. Its curved windows create a more spacious feel from the interior. 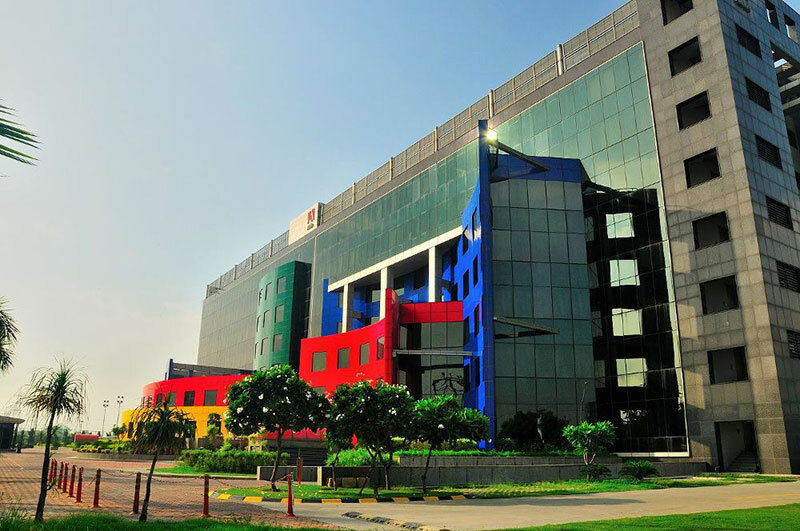 Google India’s Hyderabad office is considered one of the most beautiful office spaces to work in with its multi-coloured interiors. A technology development centre, it has an approximate head count of 6,500 employees. Some of the added perks of working in this office is its cafeteria that offers sumptuous meals including pasta, omelettes, and micro-kitchens loaded with coffee, Maggi, Nutella with a variety of tea. The gaming lounge is designed for employees to unwind with sports such as table tennis, and pool. Google India is also said to have Yoga and Zumba sessions along with its gym. There are also places inside the office especially for one-on-one quick meetings or some fun discussion. TCS India IT Park in Siruseri is an iconic development in the cyber corridor space with rich style, grandeur and aesthetics. An aerial view of the complex resembles six butterfly wings intertwined with a central spine. The campus in all comprises a total of 12 buildings with varying height of five storeys in eight buildings and seven storeys in five buildings. Unique in the way it blends both business and lifestyle, the campus also offers a state-of-the-art gym, outdoor running circuits, swimming pools, palm trees and a small golf and driving range apart from an area of relaxation with lots of greenery. I-flex Solutions building of Bangalore has a great design and infrastructure. Located at the Bagmane Tech Park, the building stands out with its petal shaped unique blocks and compartments. Spread over a sprawling 144,000 square feet, the I-Flex solutions houses approximately 1,500 employees. The office complex is designed to have a dedicated block for customer care and development activities. It is also known to be very efficient in its energy saving efforts, thus making it one of the most eco-friendly office complexes in India. 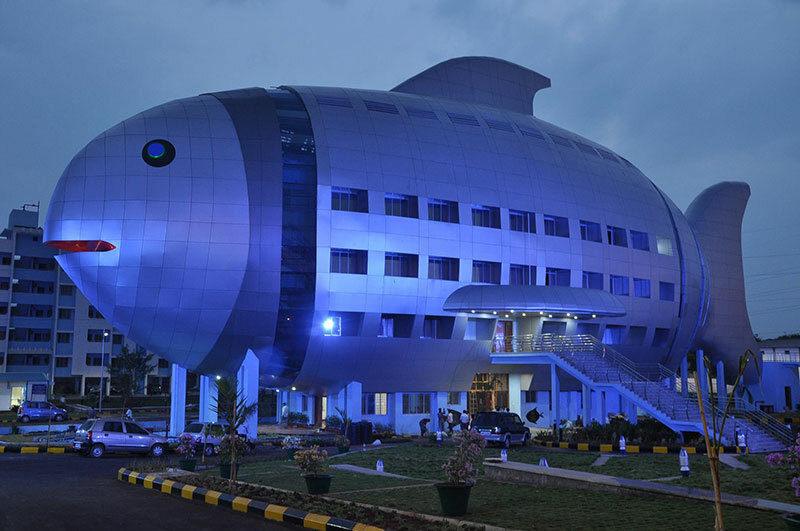 This fish-shaped building is a classic example of mimetic architecture — it houses the National Fisheries Development Board (NFDB). The three-story, 1,920-square-metre structure is the head office of India’s fisheries department. Built in 2012, the giant fish-shaped building looks like it is swimming in mid-air, and it is really beautiful visual. It was designed by the Central Public Works Department of India. 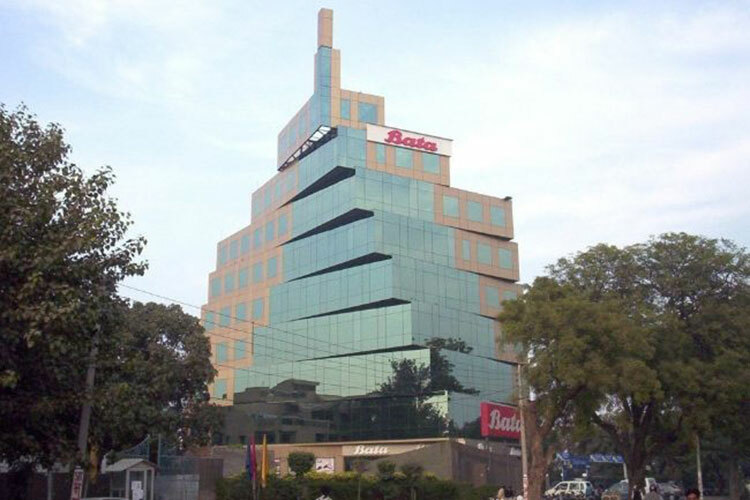 Shree cement’s LED studded office complex is the leading raw material producer for the construction of most amazing structures, and has a high-tech office complex. 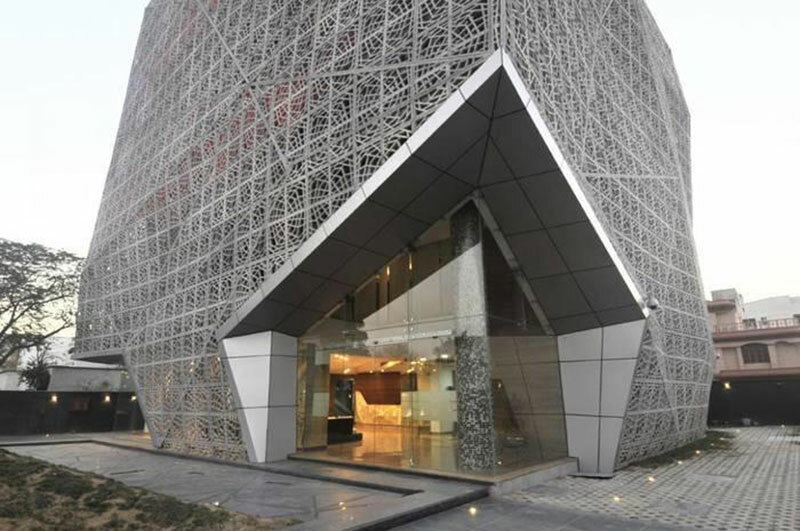 Designed by Sanjay Puri architects, it is a great work of technical brilliance. It is also called the ‘72 Screens Building’ and includes the traditional art of ‘Jaali’ or a mesh as its façade. The building is a very much a spectacular sight to relish since the building’s frontage turns into a kaleidoscope of changing LED displays. A non-governmental institution, the South Asian Human Rights Documentation Centre (SAHRDC) is a small office with limited resources, and also runs an internship programme that attracts scholars from universities from India and abroad. 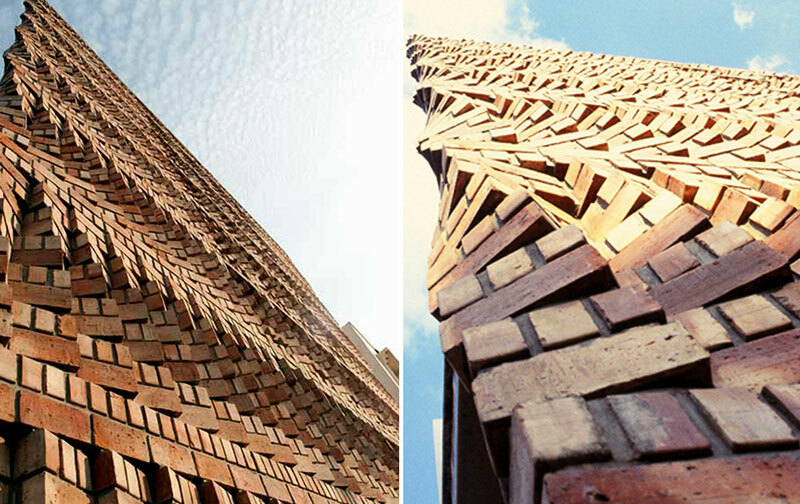 The most interesting feature is its twirling vertical stacks of bricks and a six brick module which is laid in staggered courses to create twirling, innovative vertical stacks and an undulating surface. The whole office complex is designed in such a way that the longer 10m side is exposed to direct sun throughout the day. 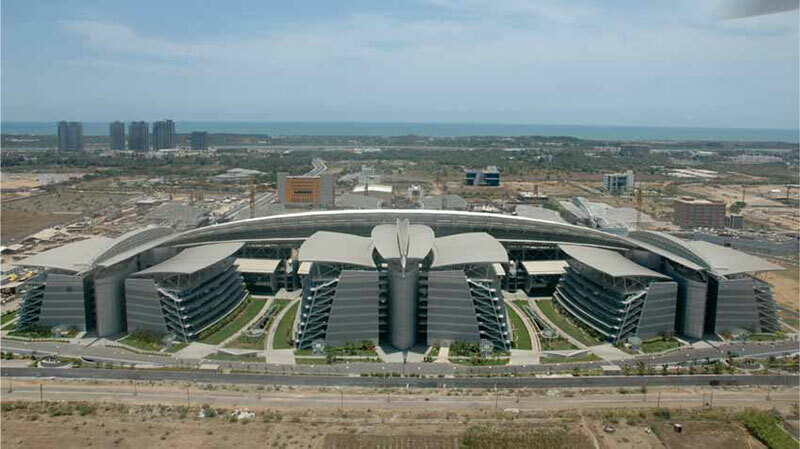 It is ranked as 8th most impressive office buildings in the Indian subcontinent. Designed in a spherical manner, this unique piece of architecture is composed of glasses stacked upon one another in a twisted manner. A glass cube placed right next to the main structure complements it perfectly. Software giant Adobe’s headquarters in Noida is set on an independent plot that spans approximately a 2,00000 square feet. The campus is a visual treat splashed with vibrant hues, especially complementing the Adobe’s brand colours with an innovative design. All of this makes this office a vibrant place to work in. An added feature is that it has been designed keeping in mind Adobe’s international brand colours and contemporary approach. The office space uses great colour schemes, innovative designs and abstract structural facades.